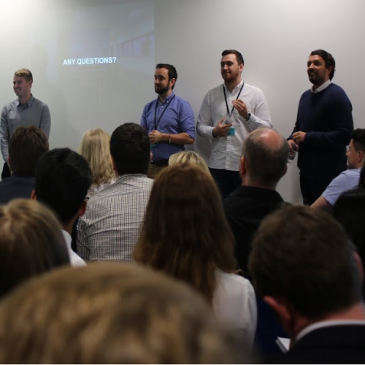 Much of the talk leading up to the latest instalment of BrightonSEO was centred on the scheduled appearance of Mark Wright – the chap who convinced Lord Alan Sugar to invest £250,000 into his fledgling digital marketing agency in last year’s version of The Apprentice. Although the “fireside chat” with the divisive Aussie brought the curtain down on an excellent conference, it wasn’t the highlight of the day. That’s not a slight on Wright by any means, more a nod towards the quality of some of the speakers who preceded his Q&A session with organiser Kelvin Newman. 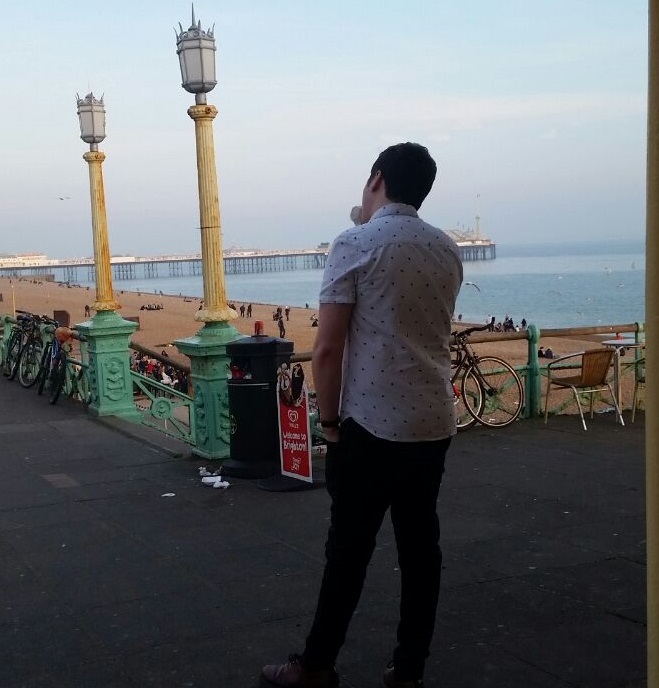 Despite the glorious weather on the South Coast and the unrelenting lure of ice-cold beer and cinnamon doughnuts along the seafront, some 1,700 self-confessed SEO geeks crammed into the Brighton Dome for what turned out to be an insightful event. Four members of the Bring Digital team made the long journey south, fuelled by an all-you-can-eat Ibis breakfast buffet, as well as an insatiable desire to absorb SEO and digital marketing knowledge. On a day of few low points (the crushing realisation that London Euston station doesn’t have a McDonald’s was a bitter pill to swallow), each of us took away a great deal from the conference. It seems fitting for our quartet to offer one key takeaway or highlight from BrightonSEO each, so here you go. At Bring Digital, we appreciate that not everybody is an SEO expert, which is why we endeavour to keep things jargon-free. If we suddenly threw the term “keyword cannibalisation” into a conversation, we’d fully expect the vast majority of people to be perplexed. Keyword cannibalisation takes numerous forms, but in short it is the term given to a website’s internal landing pages, or pages from a sub-domain, that inadvertently compete against each other in the search rankings, ultimately hindering the main page’s position. To fashion a somewhat crude analogy, it’s similar to when two Formula 1 drivers from the same team start to get a little too competitive and end up taking each other out of the race. They’re both vying to get their team to the top of the constructors’ rankings, but they struggle to put aside their personal rivalry, and the whole thing usually ends in bitter failure. At BrightonSEO, Jon Earnshaw of pi-datametrics.com gave a superb demonstration of how keyword cannibalisation is on the rise and how a multitude of high-profile brands are falling foul of this problem. Using real-life examples to explain how each of the four types of cannibalisation are blighting some of the UK’s largest brands, preventing them from maintaining their position atop the first page of Google’s search results, Jon brilliantly reasoned why it is imperative that content on different pages is sensibly themed and suitably linked. He also stressed just how important it is for SEOs to investigate fluxes in ranking patterns, no matter how minor the fluctuations appear to be. As I alluded to in a previous blog post, it’s impossible for content marketers to hit the mark 100% of the time. During your average planning session, you’ll come up with some great ideas, some mediocre ones that could turn into something special with a bit of work, and some downright stinkers. This point was eloquently raised by Hannah Smith of Distilled, who was refreshingly honest about her own content marketing exploits. Hannah stated that while she and her team have been behind some phenomenally-successful content marketing campaigns, it wasn’t always thus. While there’s no magic formula for good content production, you can enhance your chances of success by assessing whether your ideas are “relevant, resonant and different”. Will people care about this content? Will sharing this content on social media make them look clever or cool? These are all vitally-important considerations. One final takeaway from Hannah’s talk that struck a chord with me in particular was that you should never get too bogged down in formats – i.e. infographics, whitepapers, etc. Remember that people share ideas, not formats. 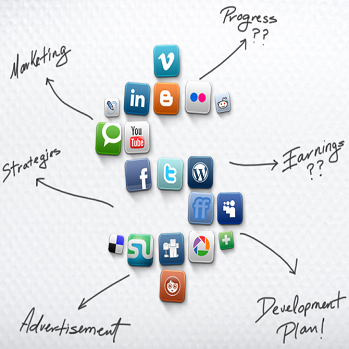 3) Eye-catching social media images really do work! We all know (or at least we should) that social media posts yield better results when they include engaging images. That said, do we know exactly how much impact social images have on our web traffic when we use them to promote our blog posts? Erica McGillivray of Moz did a great job of showing us how cleverly-planned social images can make a world of difference. In a period between June and October 2014, she reported a 468.95% average increase in traffic per blog post that had been promoted on twitter. This statistic speaks for itself and adequately highlights the immense importance of content promotion. 4) How well do you know your target audience? As a content marketer, half of the battle is discovering what your target audience want to view. Many brands fall into the trap of producing content that they themselves are interested in or what they THINK will resonate with their potential customers, but the key is getting to KNOW what works. This can take time, but there are various tools available to give you a helping hand, though it must be said that some are better than others. For example, some marketers like to use the YouGov Profiler, which enables you to type in a brand before generating a list of things that said company’s followers are interested in. I’ve always questioned the usefulness of this particular platform, and a quick, not-so-random search for “Stoke City FC” verifies my concerns. According to the results, your average Stoke fan’s favourite foods are kedgeree and vegetarian sausage rolls. I’ve never seen either served in the kiosks behind the Boothen End on match day. Worryingly, YouGov Profiles also believes that the Stoke faithful’s clothing brand of choice is Ann Summers. I rest my case. Anyway, Simon Penson of Zazzle Media gave an insightful talk that touched on the best tools to use in order to create reader personas. Honing made-up characters based on your customer research is something we do a lot at Bring Digital, and although it sounds bizarre, it serves a purpose. It enables you to stay focused on your end user when you’re producing content, removing the temptation to do something a little left field. Simon explained the merits of tools such as answerthepublic.com, Soovle and Keywordtool.io, before discussing the importance of using data to create a killer content calendar. Interesting stuff. 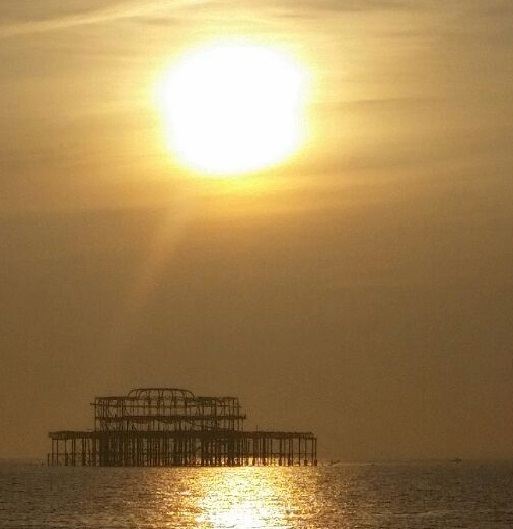 So that’s it, another BrightonSEO is in the books, and the Bring Digital team had a blast. Thousands of SEO experts, abnormally-large seagulls, Alan Sugar’s Apprentice, sunshine, slides (so many slides), exploding Pepsi cans on the beach (ask our Head of Strategy @Bring_NickB for more details), SEO Executive Tom Fairclough eating an ice cream while gazing out into the English Channel (pictured), fellow SEO Executive Joe Hennessey’s first trip on the London Underground, and the unfettered absorption of pure wisdom and logic – suffice to say BrightonSEO 2015 was a roaring success from our point of view.